Shoot from the comfort of our temperature-controlled indoor archery range! 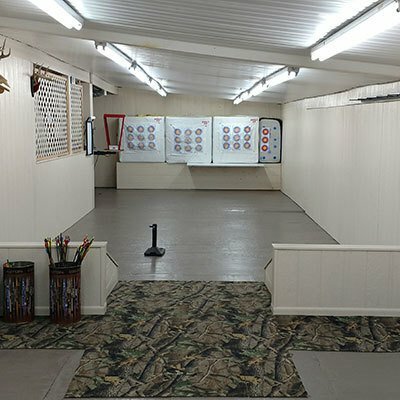 Hale's True Value Hardware & Sporting Goods‘s indoor shooting range allows you to practice your aim year-round, out of the rain and snow, and in a comfortable, temperature-controlled atmosphere. Set up a shooting time today! Details: Our range is 25 yards long and can comfortably have 6 archers shooting at once.